As a Feldenkrais Practitioner, also working with the Anat Baniel Method of NeuroMovement for children with Special Needs, one of my principles is to shift your thinking of ‘treating’ a limitation from “fixing’ to “connecting”. I don’t know Alex (a golf pro) but I enjoyed hearing his statement about moving your thought process from “stroke” to “swing”. The Effortless Swing approach for optimal golf focuses on developing ease in your mind/body through attention to ‘how you move’ lessons that bring you back to natural, easy movements a-w-a-y from the swing. 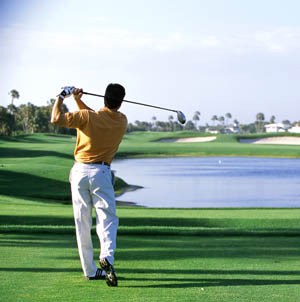 Our goal, however, is the same – to focus on your enjoyment in golf and in life!.